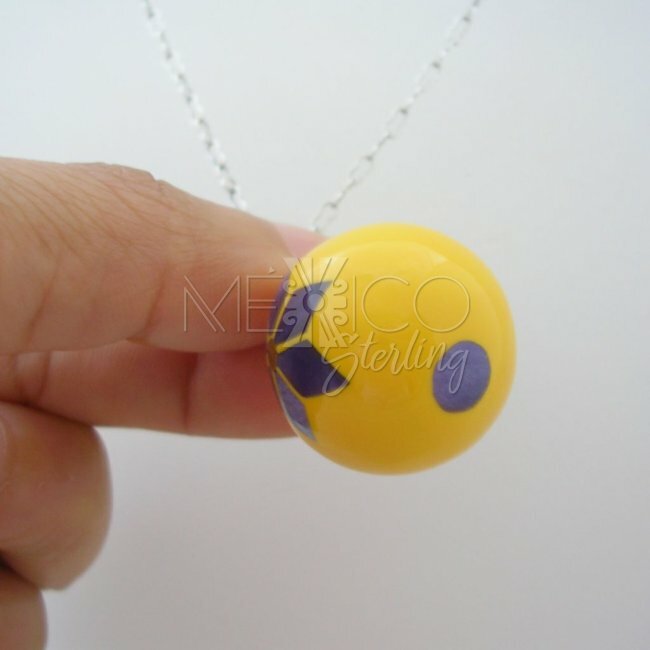 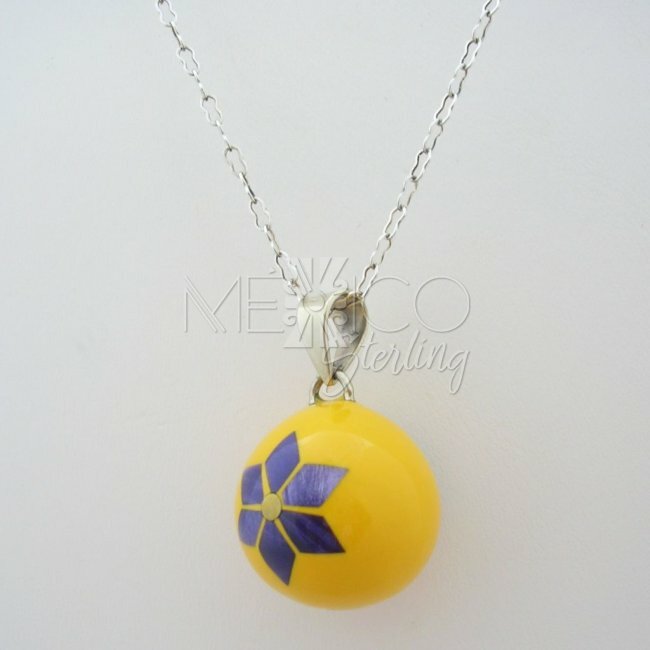 Taxco Silver Plated harmony Ball [HB3031] - $15.00 : Mexico Sterling Silver Jewelry, Proundly from Mexico to the world. 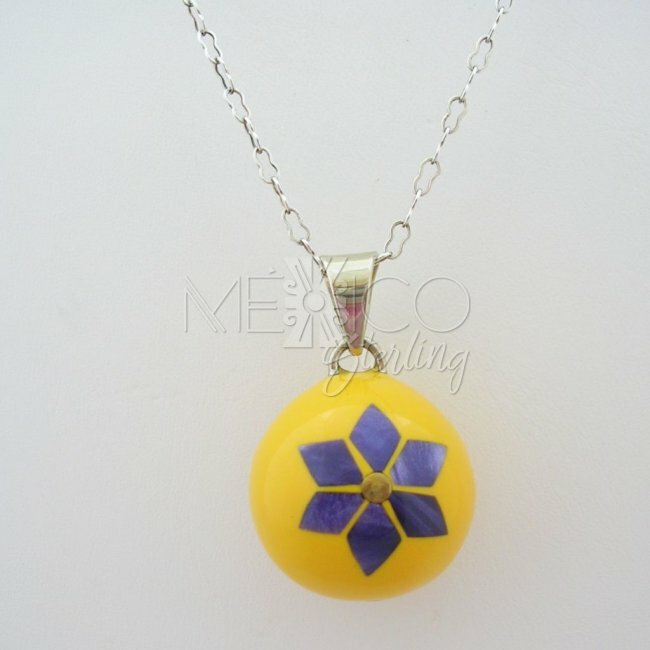 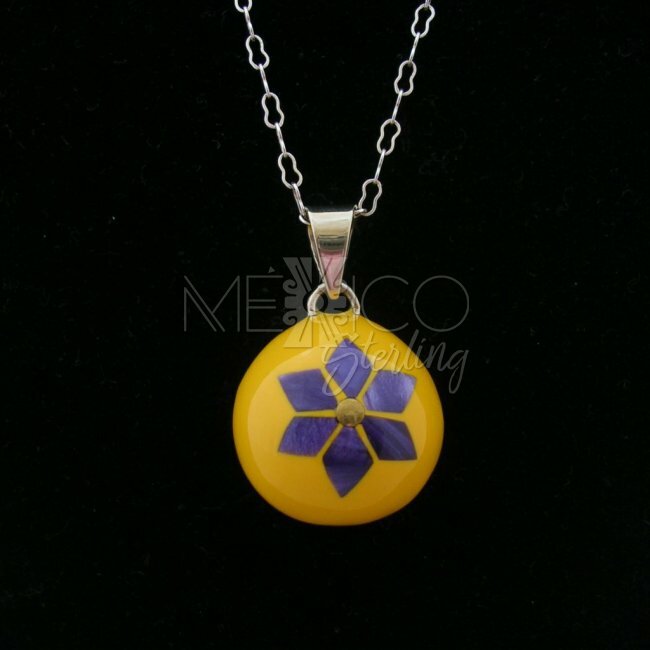 This is a beautifully decorated silver plated harmony ball or "Angel caller" with a bright yellow color as a background and a couple flowers in purple,giving a nice contrast of colors and drawn shapes. 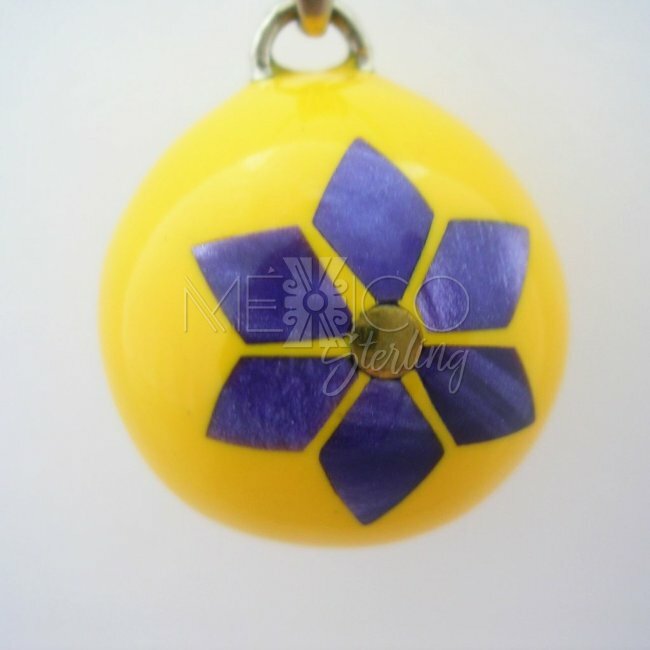 It also has this wonderful and harmonious sound that is produced when this silver plated pendant is moved, as all these angel callers in my store. 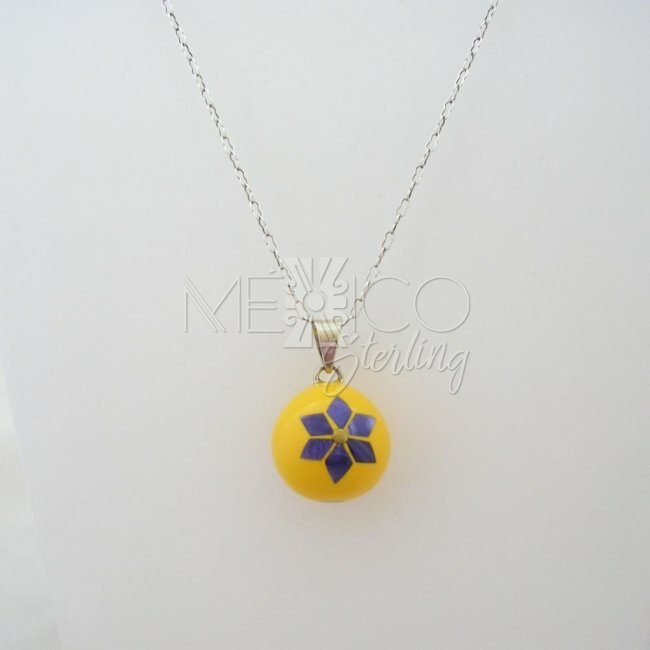 It is important to highlight as well that every single piece is handmade and even though this pendant is not .925 silver, it is crafted with excellent workmanship and high quality.